Spiraea ‘Anthony Waterer’, in full spiraea japonica ‘Anthony Waterer’, is one of the most valuable ornamental hedging plants for shrubberies, borders and parks. Spiraea ‘Anthony Waterer’ has the ability to stand out among other species of deciduous shrub in a wide variety of shrubberies, but it also makes an appealing informal (border) hedge. Spiraea ‘Anthony Waterer’ is planted for its variegated cream and pink flowers that adorn the shrub from mid to late summer. 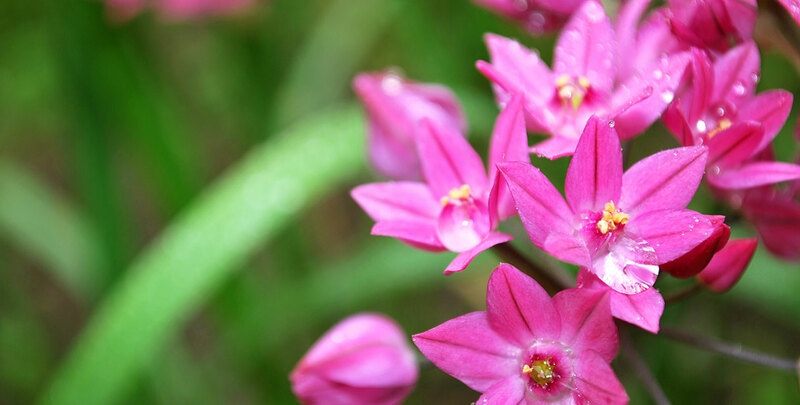 The pink flowers mature to crimson-pink as the season progresses. Narrow lance-shaped leaves – bronze-red when young, maturing to green – provide a backdrop for the striking and profuse summer blooms. Spiraea ‘Anthony Waterer’ has a rather rounded shape and tends to remain compact. It should be cut back every year in spring to restore and maintain the desired shape and size and to encourage flowering and new growth. Luckily it is very easy to prune thanks to its compact shape and slow growth rate (which does not exceed 10-15cm p.a.). This ornamental spiraea shrub has a spreading habit, so allow plenty of space for the shrub to fully come into its own, whether it is planted as a specimen shrub or as an informal flowering hedge. Spiraea ‘Anthony Waterer’ will thrive in full sun, semi-shade and dappled shade. This deciduous shrub has a preference for moist, fertile, acidic soils, but please do not hesitate to plant this lovely shrub in your garden should the soil not meet these exact requirements. The conditions mentioned here are merely an ideal situation for spiraea ‘Anthony Waterer’ and it will do well in just about any soil type if you give it some time to adapt. It is recommended to compensate for extended dry periods by means of regular watering sessions, but it is not exceptionally sensitive to drought.